FAGAN: Where Was City Hall During This Past Weekend's New Orleans Flooding? FAGAN: Where Was City Hall During This Past Weekend’s New Orleans Flooding? 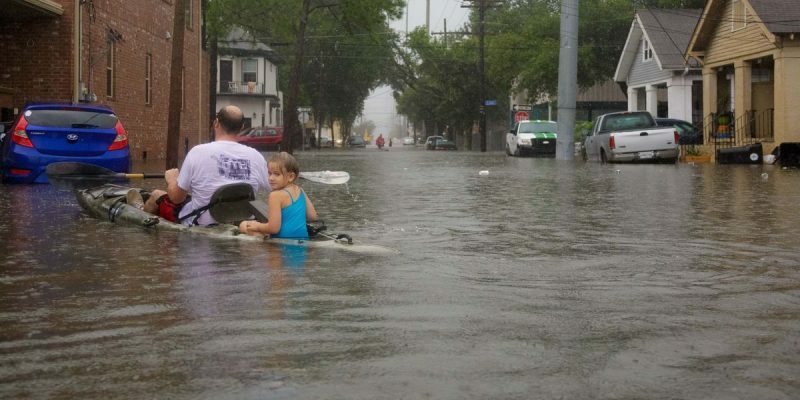 The heavy rains began to drench parts of New Orleans just after two in the afternoon Saturday. By 2:30 streets filled with water and flooding was everywhere, some places thigh-high. Where was City Hall? More than three full hours passed after the flooding began until we heard a peep from the government of New Orleans. It wasn’t until after 5:30 in the evening that the Landrieu Administration released to the public an official statement listing blocked and dangerous intersections. The listed blocked and dangerous intersections had been blocked and dangerous for three full hours by the time the announcement came. .
“The failure to, really quickly, to tell people what was happening left a lot to be desired,” City Council Jason Williams told NOLA.com Monday. You know Mr. Landrieu dropped the ball when his media allies raise questions about his competency. On Tuesday the City Council will hold a 1PM meeting looking for answers to questions from the Landrieu Administration like how many pumping stations were operating and what role did blocked storm drains play in the flooding and where was City Hall in all of this?